August | 2008 | Dare to Dream. Dare to Imagine. Phew! I find this week’s theme quite tough. I mean beautiful is a relative word, and for me there are so many beautiful things around us. So, anyway, I finally decided to post these two photos. I didn’t want to stress myself out deciding which one to use since I couldn’t really make up my mind. 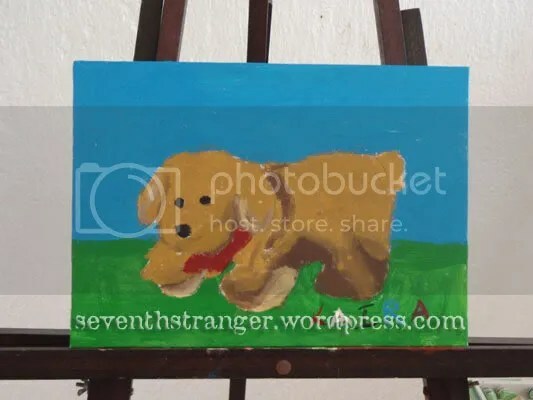 The first one is an acrylic painting done by my five-year old daughter of her favorite stuff toy and pretend pet, Fluffy. I love art. I can stare and stare and admire paintings all day, and never get tired of it. There is something about the beauty of art that lifts the spirit and soothes the soul. At least, that’s what it does for me. The second photo is a peacock with its tail fanned out. 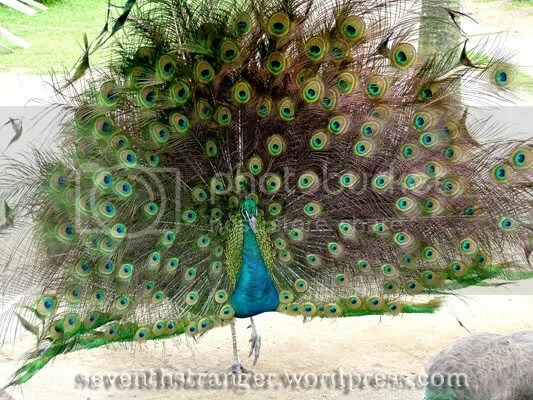 A rare sight for many of us, but we got a chance to admire its beauty when we visited the Residential Zoo in Tagaytay few years ago. Some animals were free to roam around the place, and were not locked up in cages. The peacock was one, and we kept on trailing after it taking photos and waiting for it to spread its tail. The wait was worth it. This is really one of nature’s beauty. PH#5. Photohuntin’ since August 2008. It was our girls’ “gimmik” trip. My sisters, my five-year old daughter and I headed out last Sunday to the Cultural Center of the Phlippines (CCP) to watch Cinderella, the musical stage play featuring Lea Salonga. It was the first time I ever got to watch Lea perform on stage and hear her sing live, since it was not Lea who performed when we watched Miss Saigon few years ago. She really has a great voice and we all enjoyed the show. 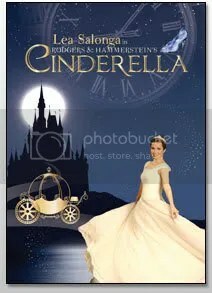 Alterations to the story to depict some current realities made it more interesting and humorous, such as having a king who appears stingy due to hard times and was not too excited about the expense of having a grand ball for his son, a godmother who seemingly tries to conceal her “fairy” or magical prowess , and lots more. We’re all looking forward to more musical plays. Our next target : “Rapunzel” in September. Having a cook at home, I really don’t do much cooking not unless I’m teaching her a new recipe or simply just because I feel like cooking (which is not often). I don’t consider myself a really good cook, but I do know how. Hubby is a better (and should I say great) cook than me. He’s actually my mentor, and I’m ashamed to say I only learned to cook real viands when I got married. Growing up and living with my parents, we had a cook at home, so my siblings and I were not really expected to do any cooking chores then. Since I learned to bake before learning to cook (because of my mother who used to bake cakes and pastries for business), I got used to following certain steps and fixed measurements from a recipe. This one, though, was made from intuit and tips from hubby, not from any recipe. 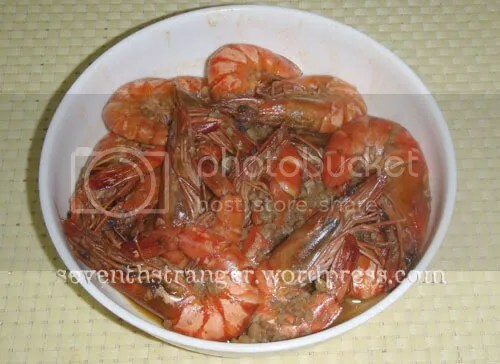 I usually do the cooking for this dish since I hate it when the shrimps are overcooked. I prefer to use butter and olive oil than ordinary cooking oil to saute the garlic, and I like to use lots and lots of garlic (not obvious in the photo though). I love garlic, and the smell while it’s being sauteed. Oooh, I just love butter-garlic cuisines. This is actually a very simple recipe and easy to cook. The secret lies in the garlic and not overcooking the shrimps. Some people don’t know that shrimps are not supposed to be cooked too long so that the skin does not stick to the meat. Once they turn red, they’re ready to go. Cook shrimps until they turn red, then remove from fire. Don’t overcook. I took this photo more than three years ago when we watched Disney on Ice (Disney Princess on Ice series). 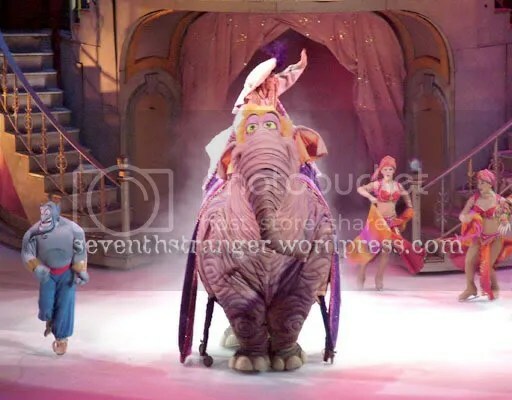 We all enjoyed that show especially my eldest daughter who was almost two years old then. PH#4. Photohuntin’ since August 2008. If all of the desserts below were served in front of you, which would you choose? Pick your dessert, then look to see what Psychiatrists think about you! My choice : Chocolate on Chocolate! Mmmm… I just love chocolate cake! Filed under Food Galore, Human Psychology, Let's Have Fun! 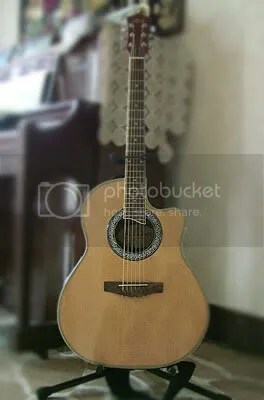 That’s how I’ll best describe it. From their playthings to the stuff that they imagine in their minds. That’s why I believe in Art, Play and Music as very effective means of teaching and developing their young minds. And as I look into this photo, I am overtaken by a siege of nostalgia. Kids grow up so fast. I took this photo of my eldest daughter almost four years ago. 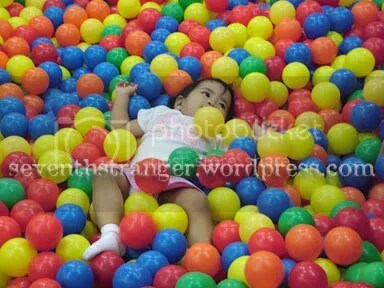 She was only one year and nine months, comfortably lying in a pool of soft colorful balls, and enjoying it. How time flies!